SPRINGFIELD, Ill. (AP) — Illinois Gov. 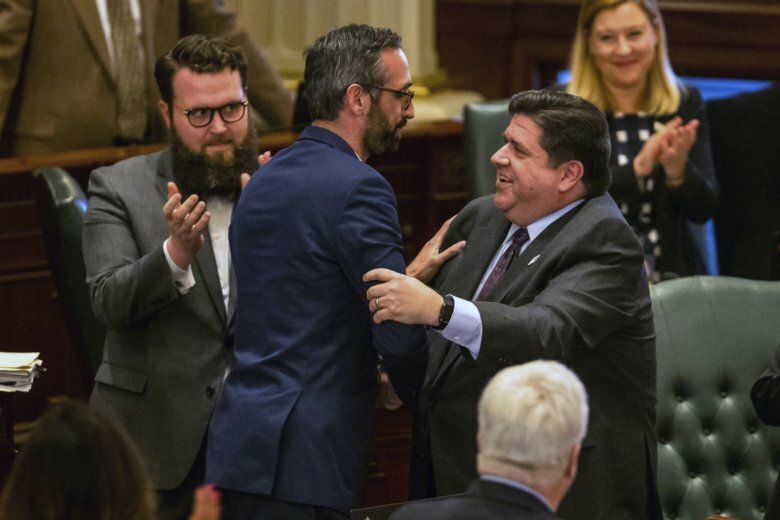 J.B. Pritzker signed a measure Tuesday gradually hiking the statewide minimum wage to $15 an hour by 2025, an early victory for the Democrat on the eve of his first annual budget proposal. Pritzker signed the law at the Governor’s Mansion, packed with supporters in a party-like atmosphere. On Wednesday, he is scheduled to deliver a proposed annual budget amid forecasts that the financially troubled state faces a $3.2 billion deficit in the fiscal year that begins July 1. Illinois employs thousands of minimum-wage workers, many at universities and health care institutions funded by Medicaid. The new law means the state would have to pay more, including $230 million in additional costs in 2021 when the hourly pay floor rises to $10. Illinois is on track to be the first state in the Midwest to push its base wage to $15. The state’s pay floor, currently $8.25, increases to $9.25 on Jan. 1; it jump to $10 on July 1, 2020, and then increases $1 each Jan. 1 until 2025.
Business groups opposed the plan. They wanted a longer phase-in and a regionalized approach with lower minimum wage levels for areas outside Chicago. Chicago has its own minimum wage, which increases to $13 in July. Ieshia Townsend, who works at a McDonald’s restaurant on Chicago’s South Side and is a member of the Fight for $15 movement, said she supplements the $12-an-hour she currently makes with two other jobs to support her two sons. The legislation is SB1 .